If approved, we will provide instructions for submission of your label or account details. INCLUDES: 1 Unit. It's made to last and it's truly the largest difference between the stuff you "can get" and the stuff you must have to change the way you compute. Motherboard Mainboard Logic Board FOR Apple IPad 2 (1st gen) 16GB WIFI A1395. 1 Motherboard. only compatible with: 1st Gen iPad 2 Wi-Fi. Use this USB cable to connect to your computer for syncing and charging, or for charging with your existing USB power adapters. Apple iPod Classic Series (3rd Generation) : iPod 10GB, iPod 15GB, iPod 20GB, iPod 30GB, iPod 40GB. IPad 2 -. Battery life not what it used to be?. 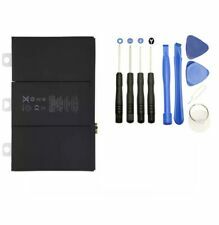 Install a this new battery and breathe new life into your iPhone. • Li-ion Battery Original. (Photo above is actual part). Each Bezel has Adhesive Pre installed. New Plastic bezel Black. Repair/Replacing old, broken, Bezel. We will resolve for you soon. IPad 2 A1395 (EMC 2560) Wifi Only 2012 version. Good quality with reasonable price. This is our SOP, for us to be certain and for record purposes. Make: Apple. Check with the manufacturer for more warranty information. 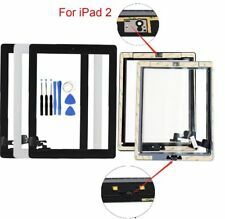 This part is compatible with iPad 2, and model numbers A1395 / A1396 / A1397. This part only includes the digitizer, and does not include the LCD. A Top Quality Glass for your iPad. NEWDigitizer Screen White With pre-installed adhesive. The EMC number can be found on the back panel of the device where the model and serial numbers are printed. 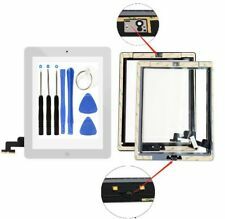 This full assembly kit will get the repair job a lot faster, as simple as you just need to remove the old broken glass screen, put this new screen on then the repair work is done, no need to transfer anything from the old part to the new part. Use with your existing USB power adapters. Compact and light. BUY 2 GET 1 FREE, BUY 3 GET 2 FREE, BUY 4 GET 3 FREE and so on. 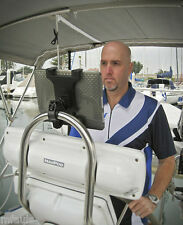 Compatible with iPad 2 Models: A1395, A1396, A1397. -Not Compatible with other iPad Models! -Color: OEM. -Part Number: 821-1180-A. Compatibility List. Not Compatible with iPad 2 (Pre-2012 Model)! -Color: OEM. -Part Number: N/A. Compatibility List. Compatible with: iPad 2, iPad 3,iPad 4. New Plastic bezel Black. Each Bezel has Adhesive Pre installed. 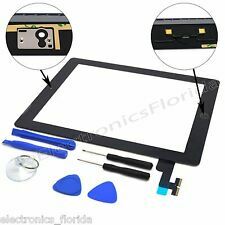 Repair/Replacing old, broken, Bezel. Friendly Reminder:Special skill and techniques required for proper installation. Does your Apple iPad 2 have a broken power button?. iPad 2 2012 Version Only. 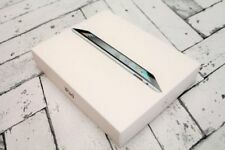 This part is specific to the iPad 2 Wi-Fi 16GB with a model identifier of iPad2,4 (MC769LL/A). • WITH MAGNETIC HALL SENSOR. 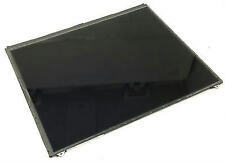 Touch Screen Digitizer Glass for iPad 2. Roller Opening Repair Tools For iPad, Tablet, iPhone, Laptop, iPod. 1 x Roller Opening Tool. Special rolling-wheel design for better use in opening. High quality material make it more durable. The end of the tool with anti-slip design make it easier for disassembling.